When it comes to the art world, the value of a piece of work is generally however much people are willing to pay. But in one case happening in Canada, it's not quite that simple. Annie Leibovitz needs no introduction (he says before introducing her). She is known for gorgeous portraits of celebrities and politicians often utilizing a single light. 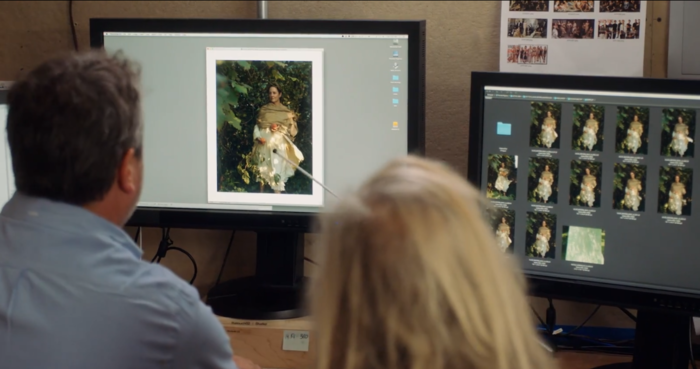 As a photographer, Leibovitz has prints. Prints that fetch a lot of money. And that is where this article's focus is. Businessman and friend of Leibovitz's, Harley Mintz, bought a collection of 2,000 prints of her work paying her approximately $2.5 million in 2013. This is half of an agreed upon price of $4.75 million, with the other half to be paid after the collection was certified. This is where the problems started. Two days after the purchase, Mintz donated the prints to the Art Gallery of Nova Scotia, claiming that he had them appraised at $20 million, meaning that the tax credit he received from the donation would be worth more than the money he would be paying to Leibovitz. The Canadian Cultural Property Export Review Board, which exists to determine whether or not art and other cultural artifacts donated to museums and galleries are of "outstanding significance and national importance" for income tax purposes, denied the collection a certification on four separate occasions, claiming it was a tax shelter move. Since Leibovitz owns the copyright to the prints, as she has yet to be paid all the money owed to her, the Art Gallery of Nova Scotia is in limbo. They have thousands of gorgeous prints, ready to go for a big show and yet they cannot legally showcase them. 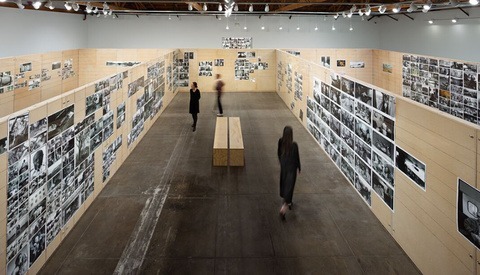 The current option is that the gallery pays Leibovitz the remainder of the money she is owed in order to get permission to showcase the gallery, but this isn't without drawbacks. For one, Nova Scotia is not a big rich province, so to be spending over $2 million for a bunch of prints is a lot of money. Secondly, Leibovitz has next to zero ties to Nova Scotia, a province which is very proud of its heritage, so giving all this money to someone who has never given the province a second thought instead of more local-oriented artists has definitely ruffled some feathers. In my opinion, I feel as though Mintz is doing some shady dealings. The fact that Leibovitz would not be curating or attending the exhibition, and the fact that he turned around and donated the prints just days later and claiming they were worth over four times what he had agreed to pay for them sets off a lot of red flags and I feel the Canadian Government is right to deny the certification. With that said, I also feel it's a good investment for the Art Gallery of Nova Scotia to pay the money she is owed as it is a fairly unique exhibition — with lots of drama around it now — that will bring people in from all over. This means more eyeballs on the rest of the gallery's collection of Nova Scotian artists, as well as money to local restaurants, hotels, and businesses resulting in (hopefully) a net positive for the province. What do you think about this whole situation? Is Mintz being genuine in his donation? Would you travel to Nova Scotia for this exhibition to see what all the hubbub is about? Photo by Robert Scoble from WikiMedia under Creative Commons 2.0. 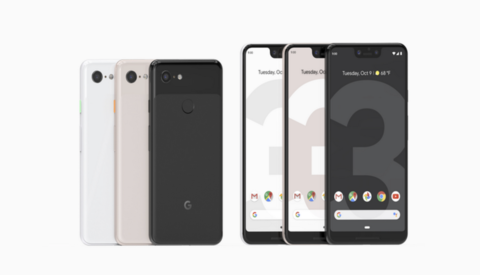 I have more issues with Robert Scoble as “photographer” in the article. 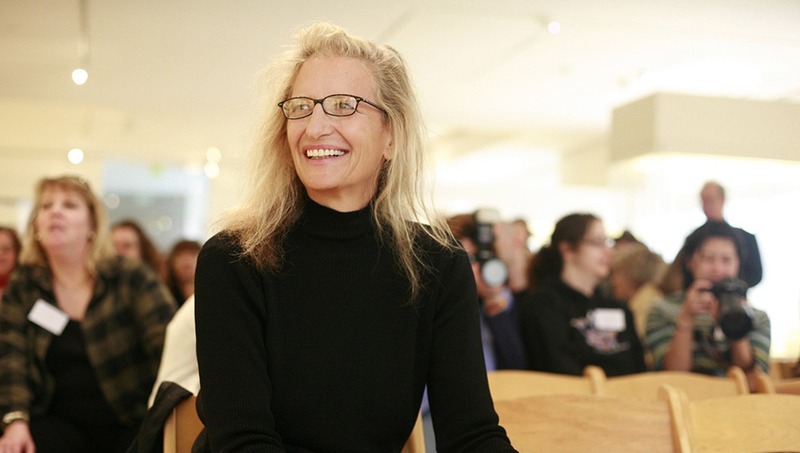 Is Annie Leibovitz aware her “likeness” is masked under a Creative Commons license? I saw an Annie L exhibition some time back and was more taken with her candid street images, displayed on repeat on tv screens, than her commissioned work. I find it hard to like her commissioned work as it takes a small army, including multiple lights, and I believe huge amounts of retouching, per image. It feels as if she’s bigger than her work and clients agree to whatever price she charges due to her name alone, not the quality of her images. In regards to your questions, it sounds as if Mintz is not being genuine and no I would not travel to see it (and yes, I appreciate the irony having been to a previous exhibition). I wouldn't judge an image by the amount of people involved or the amount of retouching involved either. Would you? Are you implying those are bad things and therefore an image should be judged more harshly? Watched her masterclass and the only thing I learned is that she does nothing but push the shutter for her pics. She doesn't position lights, can barely direct talent and sits next to her editor telling them to fix her images. Hard to believe she owns the rights alone when so many people work on every image. Get a small octabox on a strobe and someone to edit and retouch and you too can have her style. Only difference is that long credit list after a movie. She doesn't have that and people assume magic comes out of her camera. But there are a LOT more moving parts on a feature film for the director to put his stamp on than just what is captured by the camera. That is not a particularly apt comparison. "Get a small octabox on a strobe and someone to edit and retouch and you too can have her style." A lot of people think that, but they don't have her client list. It goes to show you that success is about way more than talent or skill. There's also the matter of having the fortune to be in the right places and make the right connections in life. Being the person who presses the shutter or positions the strobe is completely irrelevant. The entire concept and art direction of the shoot is hers and therefore 100% of the creation is hers. Of course she owns the rights. Yup she's the one that says "Stand over there and you look left. Hand me my camera." Click, hands camera back, "Done. Now edit it for me." Watch her masterclass to see just how she works. Could hardly even direct the talent. Not everyone is a Jack of all trades. What does that leave for the person taking the picture? You don't even have to scale it correctly if someone can rotate and crop it later. Just walk on set, grab the camera and close your eyes and wait for the focus beep and click, then let someone else make it something. I'm too much of a control freak to leave that much to others except in maybe a video setting where I'd have a team. Here she is pointing a stick as she tells the person that creates the look of her images what she wants burned and dodged. So her look is not even her look. People just see famous people. That retoucher's work probably looks different depending on his client. Her look is her look because it is what she wants. Know who else uses/used retouchers? Albert Watson... Shall I go on? So you haven't watched her masterclass then? Directors don't edit their own movies how is this any different? Oh, that's right it's not. If you don't know the difference between a directors work on a film project compared to a photographer I can't help you. A photographer has to be director, cinematographer, editor and colorist. Not if you're Annie Leibovitz. When you get to her status level then you can complain about this but since you never will I can't help you. Clever for a blank profile. Why do you care if I have a bio? Were you trying to see my work so you could try and tear me down? I know that would make you feel better but all it does is make you look insecure about your own work. Particularly when you try and tear down someone like Annie Leibovitz you just look silly. Just go, shoot, learn and be humble. Cheers. "...she does nothing but push the shutter for her pics. She doesn't position lights, can barely direct talent and sits next to her editor telling them to fix her images. Hard to believe she owns the rights alone when so many people work on every image. Get a small octabox on a strobe and someone to edit and retouch and you too can have her style." These days, you can't walk into Buckingham Palace with just a small octabox and a strobe and guarantee outstanding photographs of the Queen of England. You'll need a staff to match her staff and to ensure success before you walk into the room, and certainly before the queen walks into the room. No but you can with a huge one. One light and then have someone edit to hell and gone. There was an immense amount of activity that went on between Leibovitz' team and the palace staff before that moment, and at the same time of that moment, there was activity going on in the other palace locations that Leibovitz would be shooting. 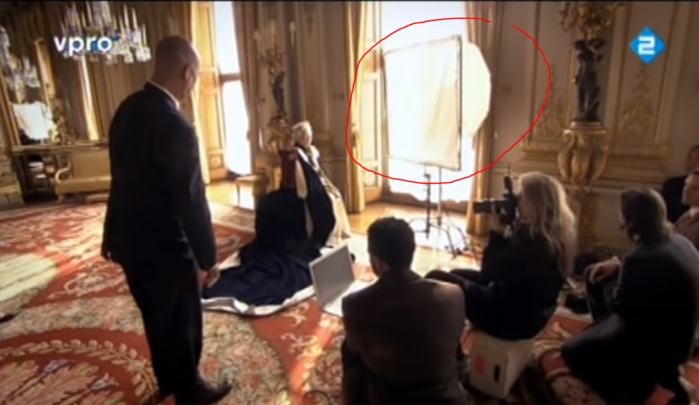 You don't think the queen stood waiting while Leibovitz moved her light and set everything back up again in each location, do you? Of course not. I doubt she even told them where to put the light. Why should she have to? She'd most likely discussed it with them beforehand, and they've worked with her long enough to know what she'd want to start with. That's what good assistants do. From what I've seen, her masterclass is predominantly philosophy. That's okay for what it is. Some people already know the basics. "......that will bring people in from all over. This means more eyeballs on the rest of the gallery's collection of Nova Scotian artists, as well as money to local restaurants, hotels, and businesses resulting in (hopefully) a net positive for the province." You seriously think $2.25 Million is a good investment? I'll bet you could count on your fingers the number of people who would travel to Nova Scotia specifically to see this exhibition.